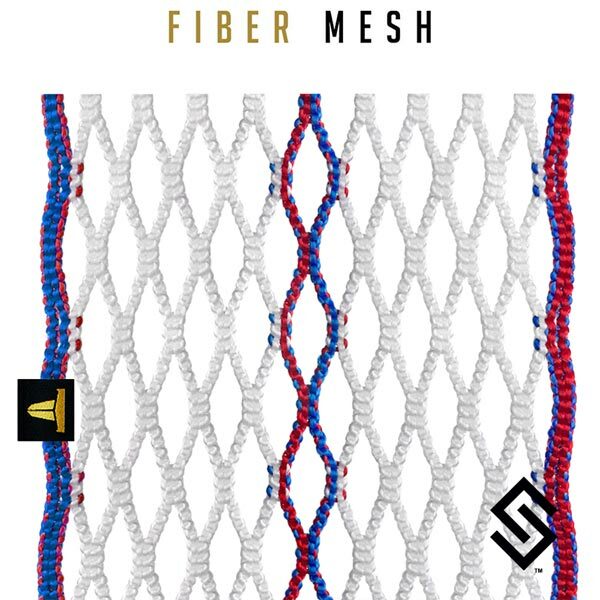 FIBER; is the new gold standard lacrosse stringing system utilizing a new material for all components. FIBER flexes to produce hold while being rip-resistant. Constructed with CROSSE WEAVE technology, FIBER mesh weighs only 24 grams making it 10% lighter than standard mesh. HEX DIAMOND structure hugs the ball for unmatched feel and control. Built from the ground up to withstand all climates and conditions. Available in multicolored designs. Get your hands on this LIMITED EDITION PENNANT Mesh today!